Keen to further your career as a financial adviser? Kaplan Professional’s online Graduate Diploma of Financial Planning is an eight-subject postgraduate qualification set at Australian Qualifications Framework Level 8. This course also provides a direct pathway to a Master of Financial Planning. Designed in conjunction with leading industry experts and advisers, this graduate diploma equips you with practical, workplace-ready financial planning knowledge across key areas such as investment, taxation and estate and succession planning. You’ll also develop essential client relationship and engagement skills that’ll make you stand out from the crowd. If you haven’t already, you’ll also gain RG146 compliance in generic knowledge, financial planning, insurance, superannuation and securities and managed investments. If you hold a Chartered Accountant, Chartered Professional Accountant, Certified Financial Planner or similar designation and are keen to build on your existing knowledge base and work in broader or more specific financial planning positions, this degree is an excellent choice. 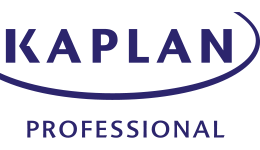 Upon successful completion of this course, you will graduate with a Graduate Diploma of Financial Planning from Kaplan Professional. Create solutions in a financial planning context using problem-solving, research and inquiry skills. Graduates can use this qualification as a pathway into Kaplan's Financial Adviser Standards and Ethics Authority-approved Master of Financial Planning.